We are now well into the summer season and the streets of Ibiza seem busy yet I’m hearing the same story from a lot of local businesses: takings down, profit down. Here at Ibiza Property Shop we had a great start to the year with villa holiday rentals performing well however since April it’s been a struggle with heavy discounts in May & June. I spoke to traders in Ibiza Town and San Antonio this week who tell me the same story: Lots of people around but takings down is the recurring theme. Of course the super clubs and beach clubs are doing very well but that’s like saying Old Trafford is busy on a Saturday afternoon when Man U are at home. The world class venues will always perform well but it is the smaller local traders and family businesses that are concerned that the same few get the lions share of the pie. We all know that from mid July to mid September the island is going to be madness, it always is, but how can local business survive on 60 days per year? it’s the shoulder periods that we need to maximize for us all to have a truly good year. I can only put it down to the shifting patterns of tourism with long weekend breaks now becoming more prevalent and tourists spending all their money on 2 or 3 major events then cutting back during the rest of their stay. Many now want to stay close to the big venues such as Ocean Beach, Ushuaia and Hard Rock and there is definitely over capacity in the villa rental market, where there used to be a few hundred villas for rent any search will now give you over 3000 options. It also appears that the mid market is deserting the island so as a business you’ve got to be either bargain basement or top end. Aviation continues to be a problem with Ibiza flight prices being higher than our competitors who also enjoy better flight times. This is a historic problems but the simple fact is that Ibiza people will put up with flights at ungodly hours whereas Mallorca and Marbella people won’t. The changing dynamic to weekend breaks has taken the traditional businesses a little by surprise so we are playing catch up but Ibiza doesn’t stay behind for long. 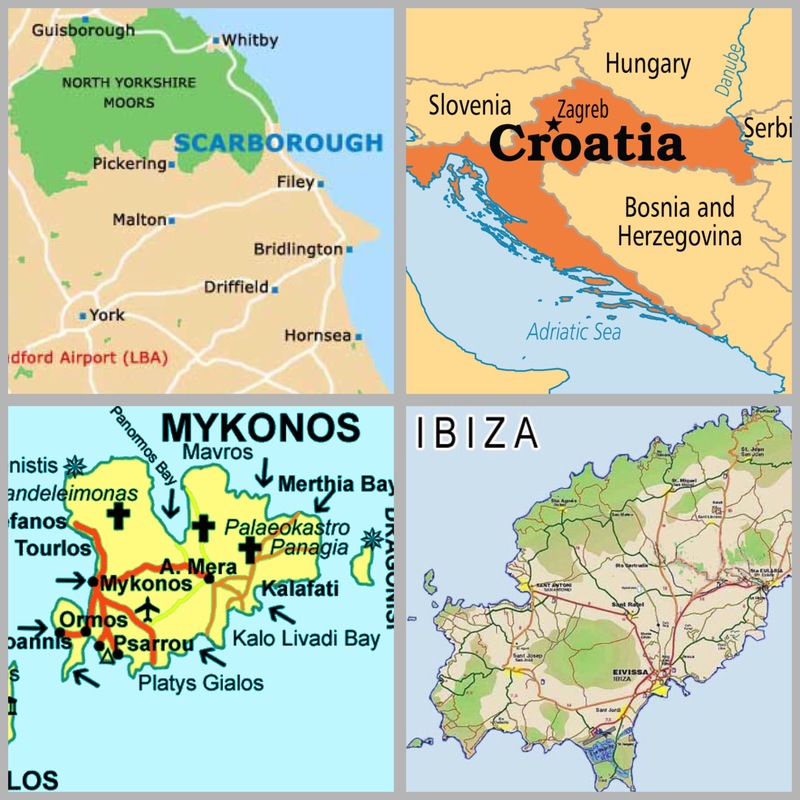 The White Isle is constantly evolving but the increase in competition on the island and by emerging destinations means that we need to consistently up our game and be more flexible especially during the lower and mid seasons months. Ibiza continues to enjoy incredible growth but as with in any competition there are always winners and losers and June has proved that so far. Paul Ambrose (aka Pabs) started his overseas career in Corfu in 1992 and eventually found himself in Ibiza in 1996 working for several holiday companies along the way. He is a qualified ski and snowboard instructor and his summers are spent mainly on the water but he has also been known to do the odd bit of work at Ibiza Property Shop where he is a partner. Paul: As a long term resident of the Island I am often infuriated by the way the Island is portrayed in the British press. Today I read about the demise of the Island in the Evening Standard as the so called party set move to Mykonos to be replaced with health freaks! We seem to get one of these articles every month or so written by ill informed, lazy journalists, most of whom appear to never to have set foot on the Island. Who are these health freaks? Where do they hang out? If these are the future of the Island I think we are all screwed! Has Matutes missed a trick investing in Ushuaia and the Hard Rock Hotel? Maybe he should have opened a juice bar and a health food shop! In the article there is a quote ‘You can pretty much get a green juice everywhere’??? Have these people been out in Ibiza or San Antonio? I can’t recall seeing it on the menu at Blue Marlin, never mind in the Boozer Bar at the top of the west end! “There are boat parties and then there are SuperYacht parties” screamed the marketing campaign over the winter. 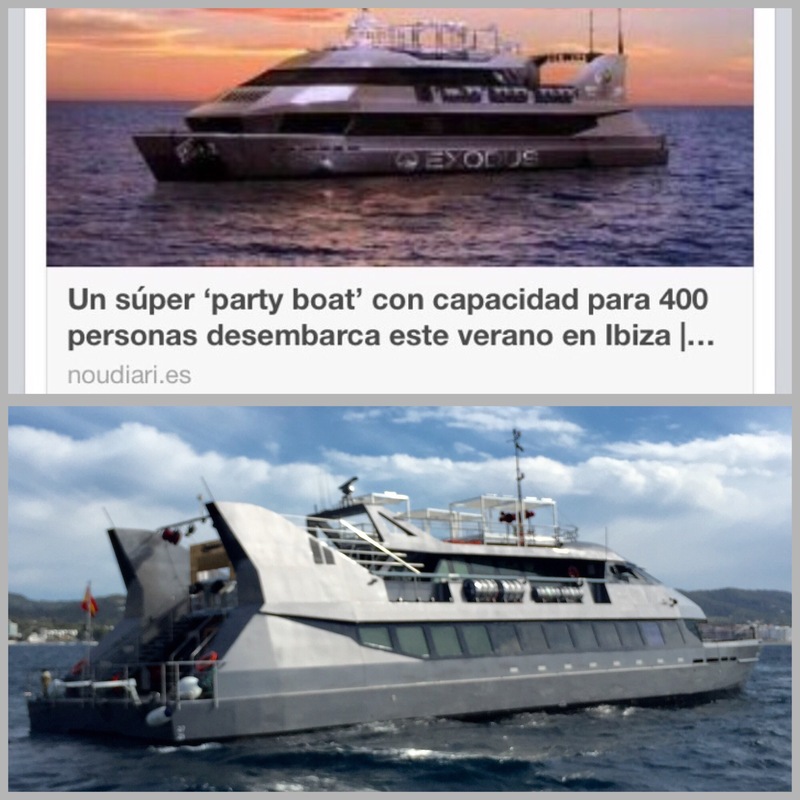 A highly organized web campaign to showcase a new superyacht coming to San Antonio purely for boat parties but the dream has now turned into a nightmare for the island organizers and also the hundreds who have booked their tickets and ‘VIP table’ as Exodus has been cancelled indefinitely citing ‘island politics’. It’s always a little precarious launching a new product on the white isle but anything to do with the water is especially fraught with difficulty especially with docking restrictions and strict health and safety requirements. I spoke with the local organizers of Exodus in mid-May asking whether they had all the required permissions, licenses and health and safety in place and I was assured that they had. Having had many different Ibiza businesses over the years I know first hand that if you don’t have the right paperwork and permissions then it’s a complete non-starter with competitors more than ready to protect their patch and rightly so. The official version is that they couldn’t secure a big enough mooring however I would have thought that this would have been organized BEFORE the big marketing campaign and promises to clients and promotors. As the Exodus organizers and promoters lick their wounds there are internet tales of clients chasing refunds and having to pay booking fees but I sincerely hope they get all their money back for something that was beyond their control plus it’s not great advertising for our town and Ibiza parties in general. I saw the Exodus boat moored off the sunset strip on Sunday and it cut a sad figure before making its way to Valencia the following day. Maybe it will return in the future, maybe the owners & organizers were just unlucky or maybe it will go down as a guide on “how not to do things”. 2 young British men have died over the last 7 days in San Antonio at the same hotel in two separate, tragic incidents. Fraser Gillespie, 26, died after falling from from his 5th floor balcony whilst partying with up to 20 friends, his death is not being treated as suspicious. Then only a few days later Andrew Watson, 32, was found by a friend in his room, he was unresponsive and doctors were unable to revive him, drugs are the suspected cause. It appears that these 2 young men have died during a relentless pursuit of pleasure. Groups of young people arrive at their UK airport ready to party. They party in the departure lounge, they party on the plane and then they come through passport control screaming and shouting. The relevant authorities have already had 3 opportunities to firmly enforce standards but most have turned a blind eye, in fact the airport bar and the low cost airline have profited from this behaviour. Is it any wonder that these young people think they are in dreamland so who can blame them when they arrive at their holiday hotel or villa and want to carry on the party but as we have seen over the last week there can be serious consequences when you have a “but this is Ibiza, I can do anything” attitude. Ibiza and its people have always been famous for their liberal nature and easygoing attitude but is this now the root of our problems? Imagine arriving at Dubai or Miami airport half cut, screaming and shouting, they wouldn’t tolerate it and those places are all the better for it, Ibiza has always turned a blind eye but how can we carry on doing that when our streets are being filled with over-zealous partygoers who have a complete personality transplant once they step foot on the island. Isn’t it about time we said NO? Not all the time but just now and again? No you can’t act like hooligans on the plane. No you can’t scream & shout at all hours in your hotel. No you can’t do exactly what you want in Ibiza with no consideration for anyone else. Getting the tone right is the key as we don’t want to become prissy head teachers tutting at everyone but there has to be a line otherwise everything becomes blurred. It’s imperative that Ibiza retains its magic but it’s also important that we send out a clear message otherwise more parents will be mourning their children over the coming months. There is no easy solution but as we enter a new political age it’s time for the authorities to tackle the problem head on in a open and honest way as to continue to ‘turn a blind eye’ would surely be very dangerous. 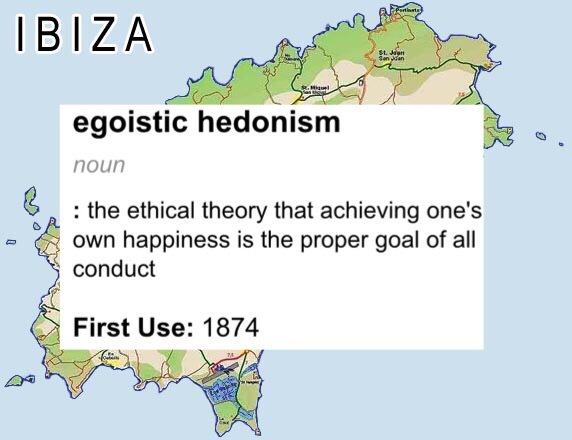 Ibiza’s free spirit needs to be celebrated not abused otherwise we will devalue the one thing that defines us as an island. Recent election manifestos promised change and a better touristic model for Ibiza and San Antonio so now it’s up to our new elected leaders to deliver on those promises. 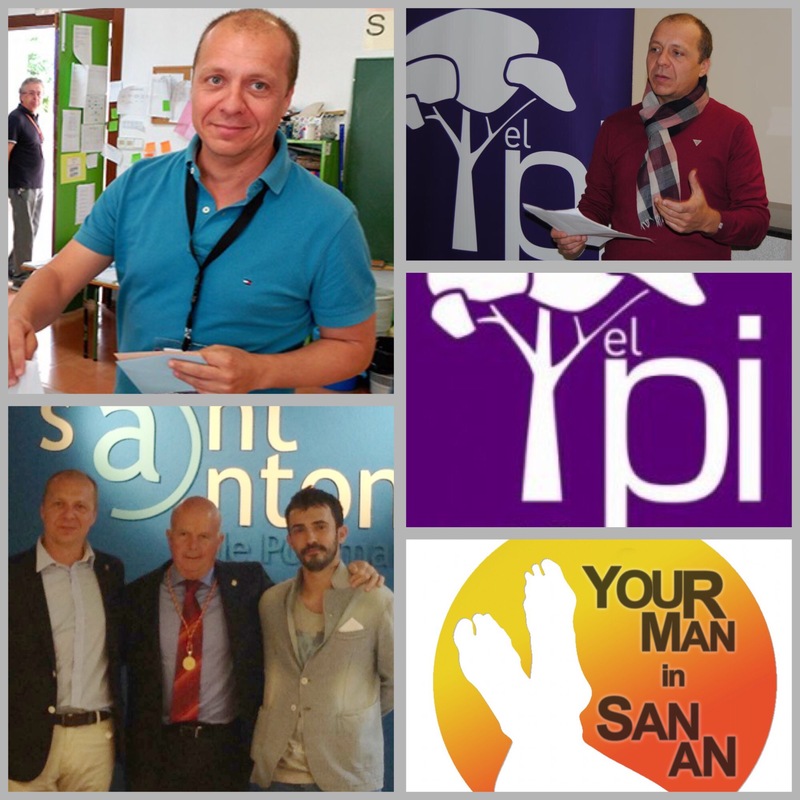 Juan Jose Ferrer Martinez, head of the centre right PI party, now has a big weight on his shoulders. After 4 years of opposition at San Antonio town hall his party gained 3 seats in the recent municipal elections so he found himself in the unenvious position as kingmaker for the next administration. PP won 8 seats & PSOE/REINICIA won 6 & 4 respectively so his 3 seats were enough to give either side the 11 seats required for an overall majority, so it all came down to him & his party to decide who would be the next Mayor of San Antonio. After 4 years of being battered by the absolute majority of the Pepita Gutierrez regime it wasn’t a big surprise that he eventually decided to form a Tri-party coalition with PSOE/REINICIA and make Pep Tur ‘Cires’ the 1st socialist mayor of Ibiza’s 2nd largest town however on paper & character PI have much more things in common with PP so his decision is sure to cause some conflict within his own party but his desire to change San Antonio means that he is now part of a 3 party coalition with those who may not always be on the same page as him. He was offered the Deputy Mayors job if he sided with the PP but a personality clash between the hierarchy of the 2 parties ensured that this was never really an option. At yesterday’s inauguration his mood was very upbeat and as we chatted afterwards he told me that he knows that there will be challenging times ahead but he was happy that the people of San Antonio had given him & his coalition a chance to govern and a chance to change San Antonio. This is the moment when Pep Tur ‘Cires’ was elected the Mayor of San Antonio by 13 votes to 8. All 21 councillors have 1 vote and as anticipated the Tri-party coalition of PSOE, REINICIA & PI joined forces to elect a socialist mayor for the first time in San Antonio’ s history. The atmosphere was electric with most councillors receiving whoops & applause when entering the chamber. The biggest cheer was for REINICIA’s 4 councillors who’s supporters were euphoric that this little known party had now become the holder of the Deputy Mayors office. The scenes were quite extraordinary with the socialists pumping fists and high giving after so many years of opposition. Especially animated was Pep Marge who has worked very hard for the socialists in San Antonio and now sees his sister Neus sit in one of the elected seats. All councillors were sworn in one by one dressed in their Sunday best apart from new Deputy Mayor Pablo Valdes who looked like he was from an indie rock band with ripped jeans, vest and tight jacket. The audience boasted at least 4 previous San Antonio mayors plus all the political heavyweights from PSOE such as Vicent Torres, Xicu Tarres and Pilar Costa. The PP showed great humility in what was a difficult day for them especially Pepe Sala who will spend the foreseeable future sitting in the chair of the leader of the opposition. I managed to talk to nearly everyone of the new local government congratulating them on their coalition pact but also reminding them that of their election promises and their underlying message that they intend to ‘change’ San Antonio for the better. I have to be honest and say I really wanted to become the 1st British councillor for San Antonio however I’ve been beaten to it and it’s almost gone unnoticed. I’m slightly jealous however I’m also happy that it’s somebody I’ve known and respected for over 20 years. CRISTINA RIBAS from the centre right political party ‘PI’ is actually CRISTINA RIBAS MOUNTFORD born in Newcastle-under -Lyme to an English mother and Ibicenco father and very proud of her British heritage even though she moved permanently to the white isle aged 3. Her mother Doris first came to Ibiza with a friend in the early 60’s at a time when travel agents didn’t even know that the island existed and it took them 3 planes to get here (a bit like the winter then!). Cristina tells a great story of how it was fate that her mother came to Ibiza as she and her friend chose their holidays blindfolded with a map and a pin. On that ‘blind’ holiday her mother met her father Toni and romance blossomed and over the next few summers Doris made the trip back accompanied by different family members with Toni visiting England whenever possible. Her parents finally married in England in 1965 and the rest, as they say, is history. Cristina grew up in Ibiza, studied tourism and has always worked within the tourist sector, firstly as a hotel receptionist and then at the airport for the last 25 years. This is where I first met her as an airline representative helping me out especially on long delays and flight cancellations. She still works at the airport but now handles private jets and their passengers – how times have changed. Cristina is married to Evelio who is also from the island and they have two daughters and they all share the same love of Ibicenco culture and tradition and even perform the Ibicenco folklore dance. Cristina says “Although my heart is mainly Ibicenco I feel as much English as I do Spanish, I’m proud of my English blood and although my parents and grandparents are no longer with us I like to visit family and friends in England as often as possible and keep the ties. I’ve decided to go into politics because I love San Antonio and I think there’s so much to be done and why not do my share. To all British residents: I will be pleased to assist you with anything in any way I can”. 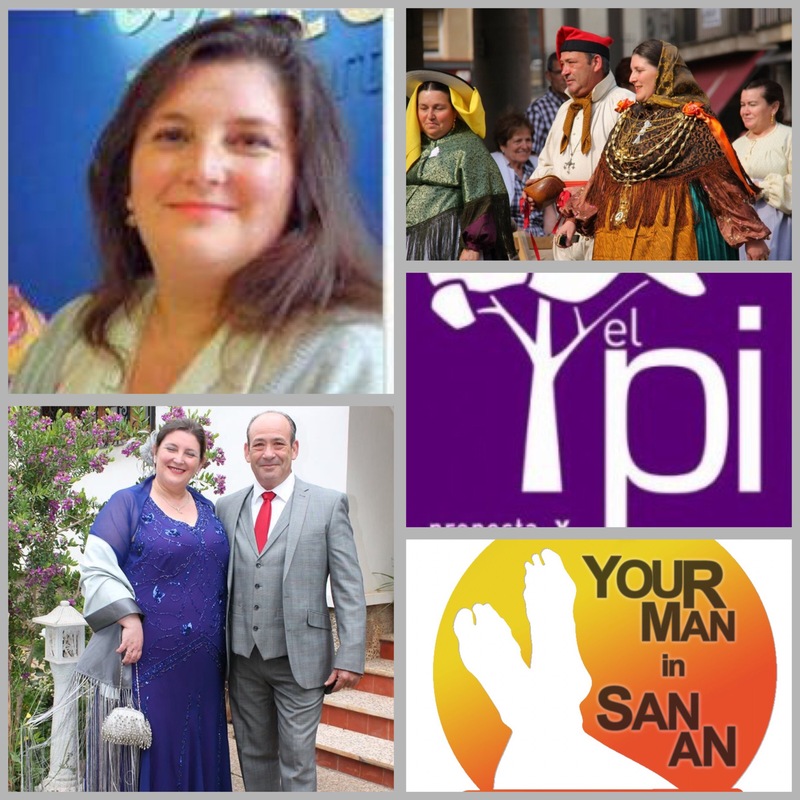 From 13 June 2015 Cristina will have a lot more work on her plate as she embarks on this new chapter in her life, she will be involved in various jobs at San Antonio Town Hall: Trade, Agriculture and Fishing, Fiestas for the villages, Ibicenco culture and traditions and in charge of the Buscastell, Santa Ines and San Mateo areas.